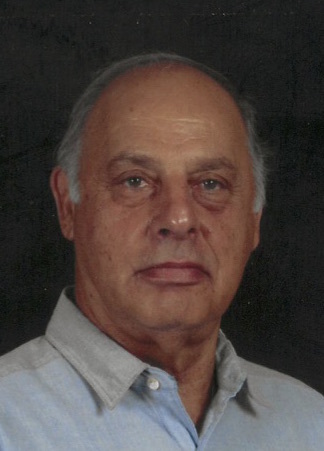 Angelo M. Zerbonia, 84, of Metamora, IL passed away at 12:40 pm on Friday, February 1, 2019 at his residence. He was born on November 1, 1934 in Peoria, IL to Michael and Concetta (Cotroneo) Zerbonia. He married Karen L. Goldsmith on August 26, 1989 in Peoria, IL. Surviving are his wife Karen of Metamora; children Amy (Douglas Byrne) Zerbonia of Peoria, Noel (Nancy) Zerbonia of Washington, and Tanya Zerbonia of Bloomington, IL; step-daughter Becky (Larry) Jolly of Peoria; two grandsons and four granddaughters; sister Carmela Driscoll of Peoria; and numerous nieces and nephews. He was preceded in death by his parents, son Thomas, step-son Robert Jolly, sister Margaret Foiles, and brothers Vincent and Joseph. Angelo was a U.S. Army Veteran serving from 1957 – 1959. He was a civil engineer working for the U.S. Army Corps of Engineers from 1963 to 1992. He was a member of St. Mary of Lourdes Catholic Church in Metamora, National Rifle Association, and the Illinois State Rifle Association. He loved the family pets and being out in the yard gardening and enjoying the wildlife. Cremation rites have been accorded. A Memorial Service will be held at 7:00 pm on Friday, February 8, 2019 at Mason Funeral Home Germantown Hills Chapel with Father Greg Jozefiak officiating. Visitation will be held from 5:00 pm until time of his service on Friday at the funeral home. Military rites will be accorded following his service. In lieu of flowers memorials may be given to American Cancer Society Central Illinois Chapter, 4234 North Knoxville Avenue, Suite B, Peoria, IL 61614 or PAWS (Peoria Animal Welfare Shelter), 2600 NE Perry Avenue, Peoria, IL 61603. Online condolences at www.masonfuneralhomes.com.